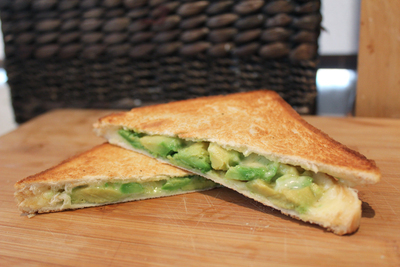 Toasties are the perfect lunchtime meal. They're just like regular sandwiches, but even better thanks to their warm, oozing innards. Usually when you put green things inside toasties--think lettuce or baby spinach--they don't fare too well. 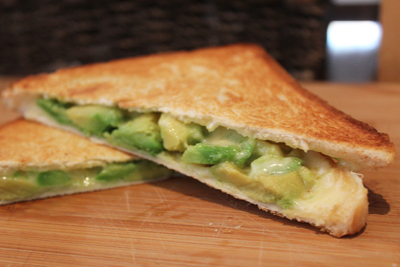 Avocados on the other hand do spectacularly well inside a toastie; plus you get lots of good things like important vitamins and Omega-3. We're not saying that cheese toasties are completely healthy, but at least when you add an avo you're getting something good. First make sure you've got your bread on hand. If it's been in the freezer, defrost it in the microwave first. Slice your avocado in half. You'll only need to use about half of a small avocado. Wrap the remaining half (the one with the seed still in it) in cling wrap and pop it in the fridge. 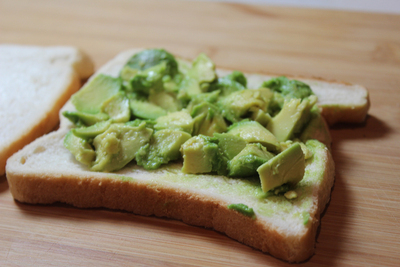 Scoop out the avocado and spread it over one slice of bread. It's best to make sure your avocado is fully ripe, otherwise it won't be as easy to spread and you won't get the same flavour. 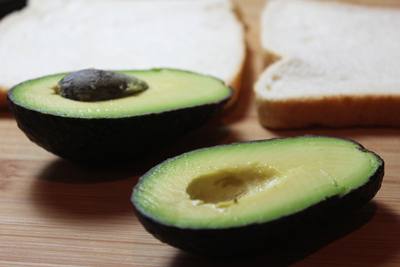 Because you're using avocado you don't need to worry about using butter. 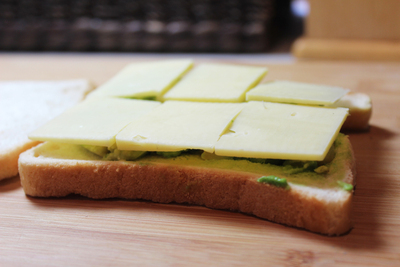 Slice your cheese and then layer it on top of the avocado. 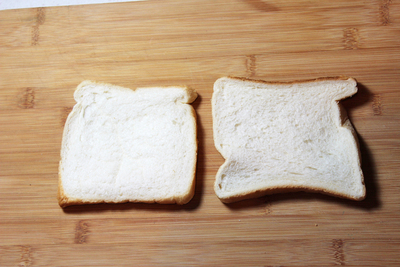 Put on your second piece of bread to form the sandwich, and then put it in a hot toasted sandwich maker. 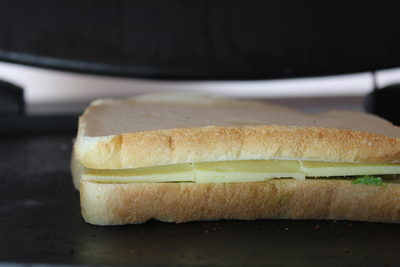 Keep the toastie in the toasted sandwich maker until the cheese is properly melted. If you start to hear a sizzling is probably means that your toastie is ready and the cheese has started to ooze out of the side. Remove the toastie and slice it in half. If you're looking for variations on this toastie why not try adding some ham or tomato before you toast it. Experimenting with the type of bread you use will also give you different flavours. What are your favourite toastie fillings? 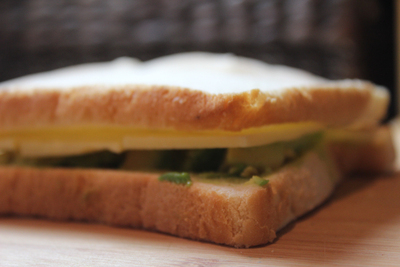 Are you a simple cheese and bread kind of person, or do you like going a little bit fancy with your fillings?